I thought I'd show some pics of my wall calendar made up. I've been making these for about 15 years for my parents. It started with the artwork of my eldest daughter. I used to trim the art and glue it to A4 cardstock and then laminate it. 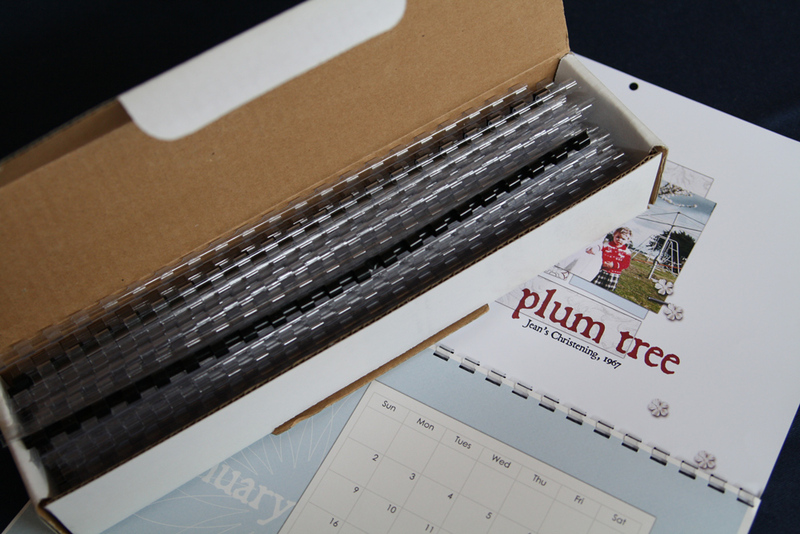 Then I'd print the calendar pages with family dates on them and bind it all together. I even organised it as a fundraiser at our local primary school for many years. 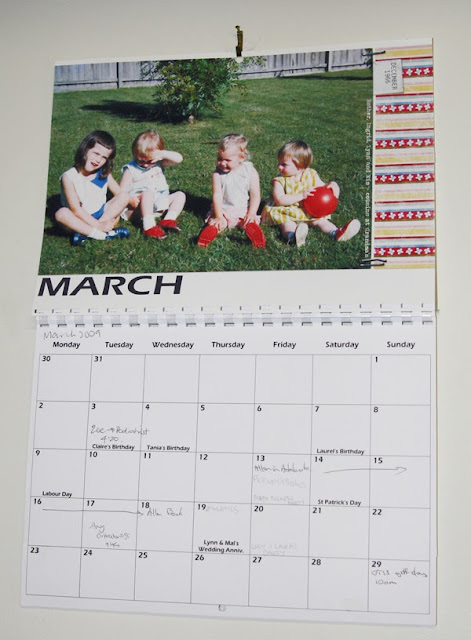 The parents would send in their child's artwork and we'd laminate it and bind it with some calendar pages. It was a terrific fundraiser. It was great fun, too, except when we had a disaster with the laminator or bound the picture upside-down! This year I'm using templates by Roadside Designs at Two Little Pixels (see earlier post). I used to bind them with white combs but I was very happy to find clear combs at our local office supplier a few years ago. I'm lucky that we have one at work. If you are not so lucky I imagine your local office supplier would offer a comb binding service. 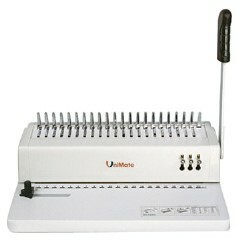 Here's a link to instructions about how to use a comb binding machine. I love making calendars for the family. 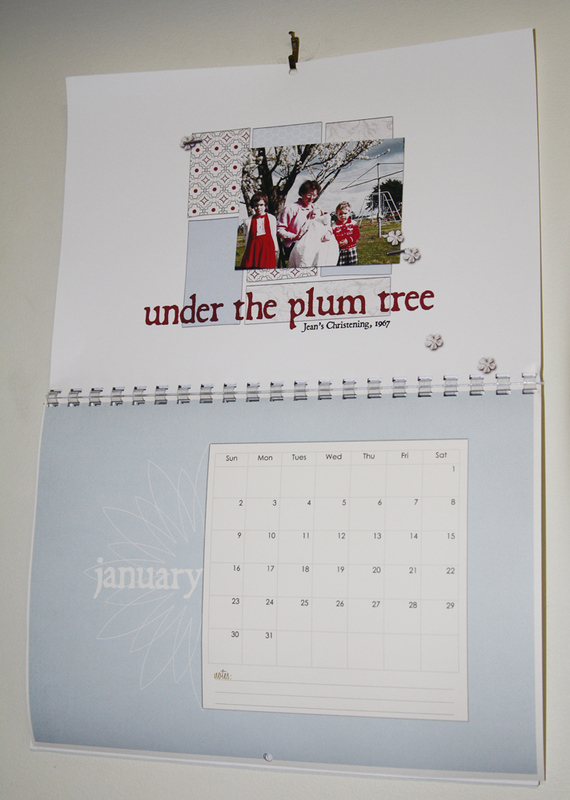 My family don't necessarily "get" scrapbooking, but they certainly enjoy the calendars. And it has been such a terrific way to share photos that are otherwise hidden away in old albums or slide boxes. I will never finish scanning old slides and documenting our family history but I CAN finish a calendar! I have a machine like that in my class and I like your calendar, it is magnificent!!! Last year, my sister and I had made one for my parents and we would like to make one other this year. But I run after time. And the holidays arrive only 24/12 at noon then I do not know how I am going to make;) and I like the transparent rings. I have never seen it here.